The “diet” portion of the hCG diet can sometimes be confusing those doing the protocol, whether you’re doing hCG diet injections, hCG diet drops, or pellets, the diet food list remains the same. There are many different kinds of food all over the world and all contain either starch, protein, carbohydrates, vitamins, or any combination of the aforementioned. This article is going to show you the ones that should be a part of your HCG diet food list as well as the main function of these different types of food as far as the diet is concerned. Many people assume that diet is mainly created for the purpose of rapid weight loss, and although weight loss is the goal, there are other long term benefits involved. The main one being the way the hCG diet reprograms our eating habits, and teaches us portion control. As depicted earlier, you will learn that all of the food that we consume must have purpose. This way we can avoid unhealthy, and harmful dietary habits. We all know that taste is important, and in order to achieve this by using seasoning to help us enhance the taste of our meals. the taste as well as preserve the meals for example line, vinegar, mustard powdered and many more. All the above mentioned aspects fall under the HCG diet food list. Just make sure to use low sodium options. Protein is the most important item in our hCG food List. The majority of the calories will come from protein. These proteins include: beef, crab, chicken breast, shrimp, fish and many more. Proteins are well known for there effective function of assisting the body in repairing and replenishing our lean body mass, which is the one thing we want to save on the protocol. Furthermore, to embrace a balance diet one has to include protein in his or her meal on a daily basis. Stick to the 3-3.5 ounces of protein per meal while on phase 2 of the diet. Protein plays a vital role in the body’s development. Scientifically, protein enhances the development of antibodies, which are there to protect the body against any pathogen. Protein plays a great function in locomotion, as a matter of fact protein help in contracting and relaxation of muscle thus giving a chance to locomotion. Additionally, hormonal proteins are basically hormones that are employed to facilitate communication within the body. With that being said! Consume enough protein on while on the diet. The second item on our Food List are vegetables. These vegetables include lettuce, spinach, green bell chilly, tomatoes, cilantro, onion, lettuce, basil leaves, cucumber, green beans, celery, red radishes, and asparagus . Make sure to not mix these vegetables while on phase 2. The list is simple, yet strict, as drinks are concerned, water will be the drink of choice. Drink lots of it in order to allow your body to get rid of the fat as quickly as possible. If you would like something with some flavor, then tea or coffee that has no sugar (although stevia can be used!). Water is the key! Drinking water might be taken lightly by most people but you need to understand that water plays a critical role in your body. 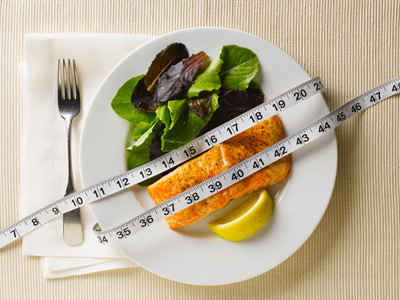 The Food List has included water as a key factor in helping your body get rid of the fat. Many people would argue that water is can be taken in many forms (juices, sodas, teas, etc..) but still one has to drink water to ascertain it influence in his or her body. Water play several functions in your body, it aids in the transportation of food nutrients as well as oxygen to the cell and other parts of the body. Water enhances the moisturizing of air in lungs as well as offers a helping hand in metabolism thus protecting your important organs. Water ensures that your organ remain moist thus enhancing easy absorption of nutrients into the vital organs. Water also offer protection as well as moisturize your joints. Last but not least water enhances detoxification. In other words, drink water on the hCG diet! Hopefully this list gave you some ideas and tips on where to start with an food list. If you’d like us to make your life easier, we offer an HCG Diet Food Delivery Service where we serve you 7 days of gourmet food that adheres to the Protocol.